The initial plans for production of the Z.W. 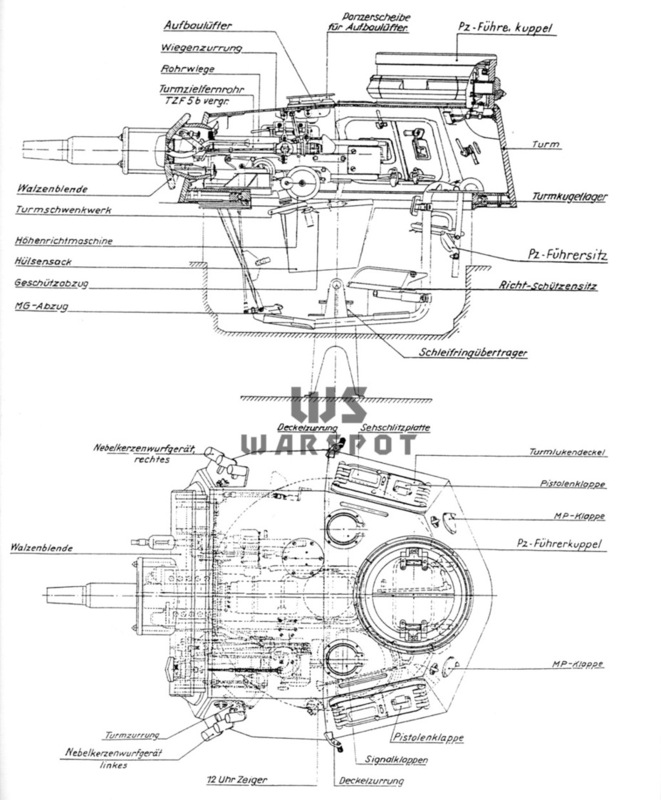 approved by the In 6 in December of 1938 were for 2595 tanks of this type. Production would be split up into 8 batches, and only the fourth would be in large numbers (Ausf.E). 96 of these tanks would be built. Than, 435 tanks of the 5th batch (Ausf.F), 800 of the 6th (Ausf.G), and 759 of the 7th (Ausf.H). 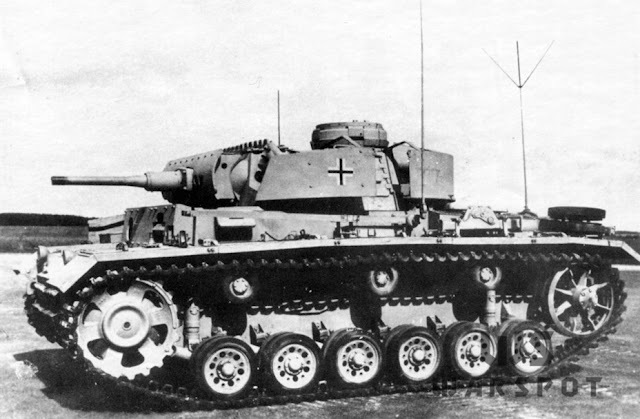 Production of 440 tanks of the 8th series would be included in the military budget for 1940. 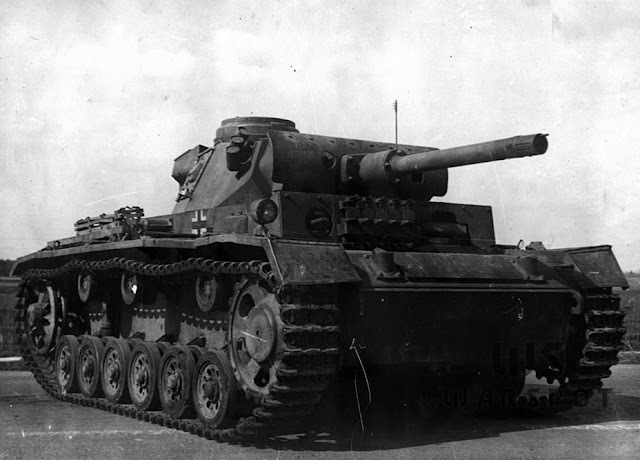 However, issues with the gearboxes and chassis discovered during the production and use of the PzIII Ausf.E and Ausf.F led to significant corrections being made to the production plans. The Z.W. chassis was seriously altered in time for the production of the PzIII Ausf.H. The tank received an SSG 77 gearbox, reinforces chassis, and wider 400 mm tracks. The mobility of the tank had to be limited, as it turned out that the road wheel rims would start to fall apart at a speed of over 40 kph. A recently arrived PzIII Ausf.J. 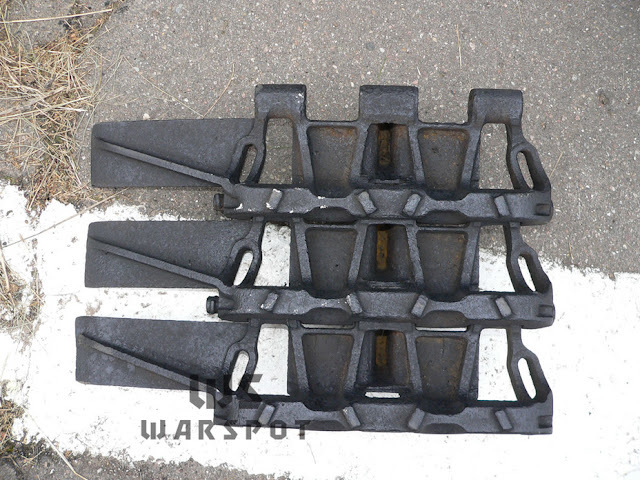 The differences from the Ausf.H are plainly visible: new air intake covers and a ball mount for the bow machinegun. Fighting in Poland showed that 30 mm thick armour was not enough to protect from modern tank and anti-tank guns. This led to the installation of 30 mm thick applique armour on the front of the PzIII's hull. This was a half measure at best. Only the hull was covered, the turret front was still only 30 mm thick. The resistance of applique armour was lower than that of one monolithic plate. In the summer of 1940 the tank also received a 50 mm 5 cm KwK 38 L/42 gun. A meeting discussing PzIII production was held in early 1940 at Daimler-Benz. It was decided to reduce the amount of two of the variants. There would now only be 600 PzIII Ausf.G tanks built instead of 800, and 250 Ausf.H instead of 759. 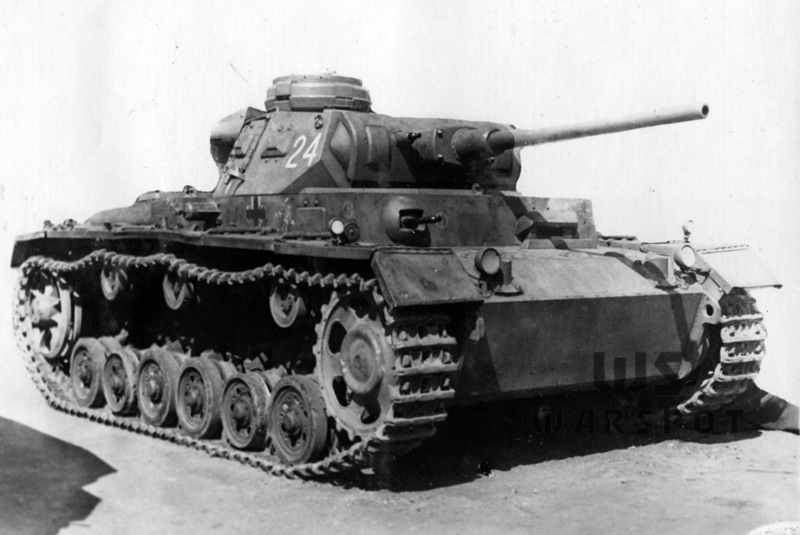 In reality, there were more PzIII Ausf.H built: 286. The reduction in the volume of these tanks would be compensation by a radical increase in the production of 8.Serie/Z.W. to almost 1100 units. 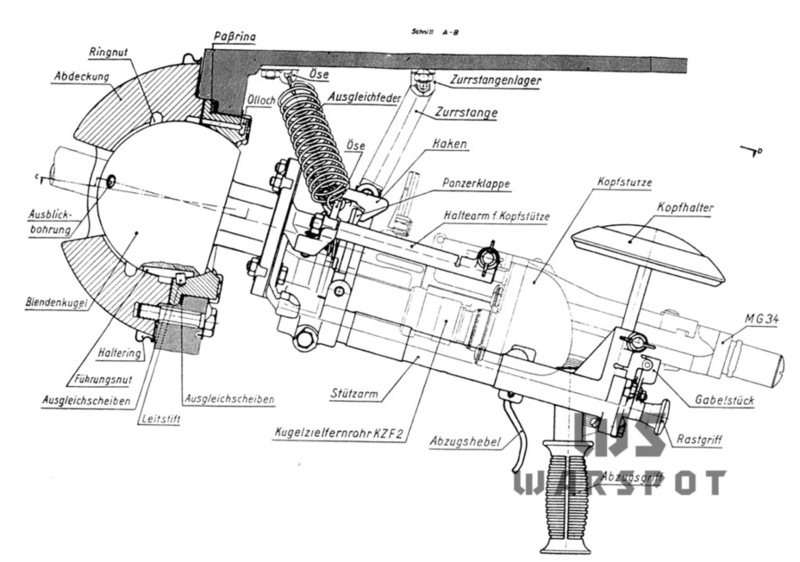 The Kubelblende 50 machinegun mount that was used on the PzIII starting with Ausf.J. The 8th batch was much better protected. The thickness of the front armour was increased to 50 mm, which protected it from 37-45 mm guns. A number of design changes had to be made to the chassis based on experience of using older models. The majority of these were already implemented on the PzIII Ausf.H, which made the work easier. Initially the plan was to task 7 factories with the production of the 8.Serie/Z.W., but Alkett and FAMO were later struck from that list. Alkett was busy with production of the StuG III, since this was the factory responsible for them after the Ausf.B. FAMO was busy with building Sd.Kfz.9 recovery halftracks and, after August of 1941, PzII Ausf.F tanks. The driver's observation device had a thicker cover. The overall volume of 8.Serie/Z.W. was reduced to 779 tanks. Later the order was increased to 1800 more 8.Serie/Z.W. A captured PzIII Ausf.J at the NIBT proving grounds, summer 1944. The first production 8.Serie/Z.W., named PzIII Ausf.J, were built by Daimler-Benz, MAN, Henschel, and MNH in March of 1941. During the next month MIAG and Alkett delivered their first tanks. 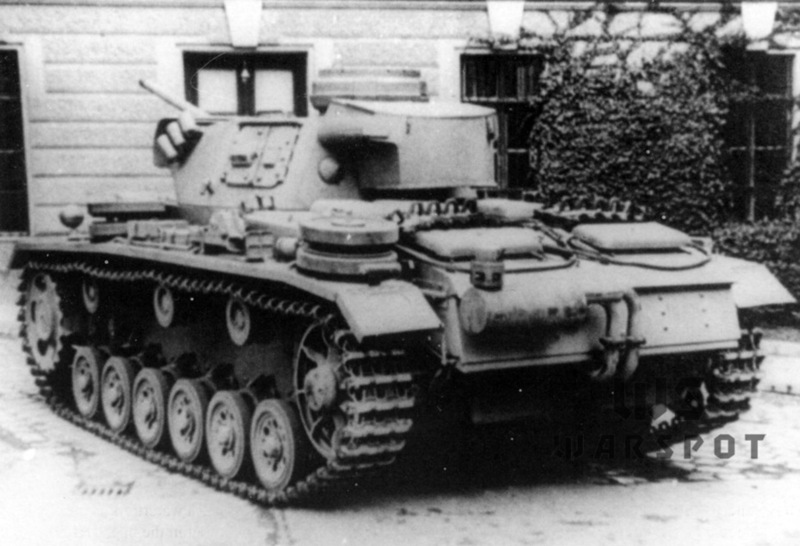 The tank was not much different from the Ausf.H variant that preceded it. 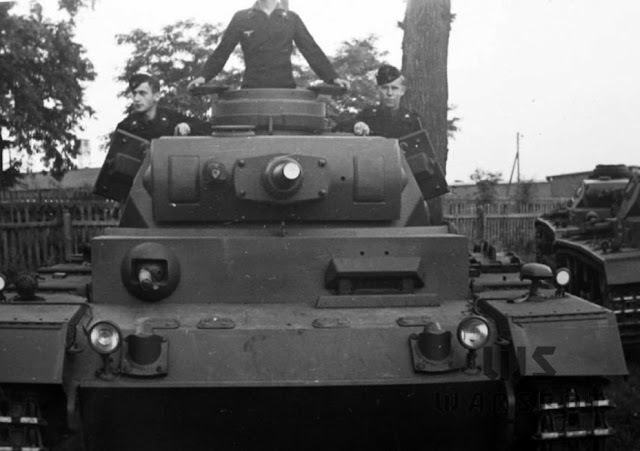 The first tanks of these series were still built with old turret that had 30 mm thick front armour. The only difference was the reinforced design of the observation hatches flanking the gun mantlet. However, it is fairly easy to tell the PzIII Ausf.J apart from the tanks that preceded it. 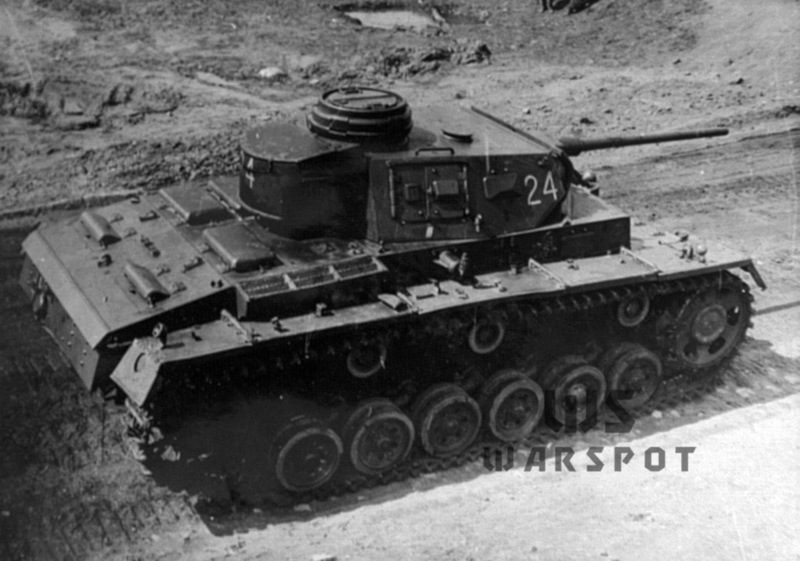 In addition to thicker front hull and turret platform armour, the tank received a new Kugelblende 50 MG mount with a characteristic hemispherical shield. The driver's observation device also changed, now to the Fahrersehklappe 50 (the number 50 means the thickness of the armour cover). At the same time, the protection of the air intakes for cooling the brakes was increased. They were now thicker and had a different shape. The design of the tow hooks also changed. Now they protruded from the side armour plates. The tank can also be distinguished from the rear. The shape of the upper rear plate and crank-start cover changed. The smoke grenade launcher was now protected by the upper rear plate. This photo was taken in the winter of 1942-43. The wider tracks were called Ostketten. Production of the PzIII Ausf.J really came into its own in May of 1941. Out of 143 PzIII delivered in this month, 132 were of the new type. The bet made on splitting the workload between factories paid off. Even though not a single factory built more than 40 tanks, the total production volume was pretty high when they were all put together. 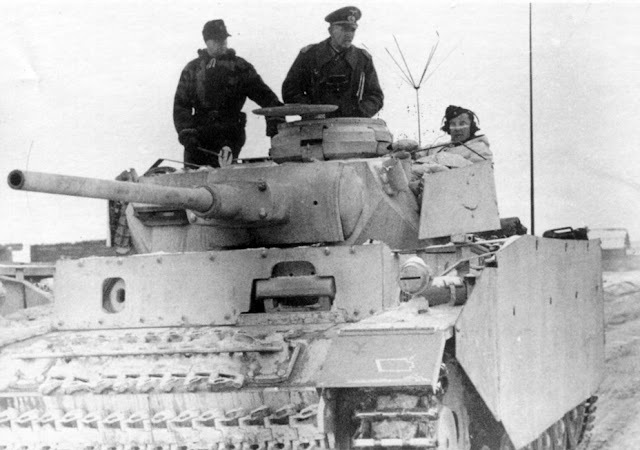 At the start of Operation Barbarossa the PzIII Ausf.J was a rare feature in photographs, but towards the fall of 1941 these tanks made up at least half of the total number of PzIIIs. The armour of the PzIII was thickened again in the summer of 1941, and again it was not enough. 1322 PzIII Ausf.J with 5 cm KwK 38 L/42 guns were produced in 1941 (out of 1713 PzIIIs of all types). The number seems high, but needs to be considered in context. In June of 1941 the production of the Medium Tank M3 began in the United States. None of the three factories that were producing it had ever built tanks before. 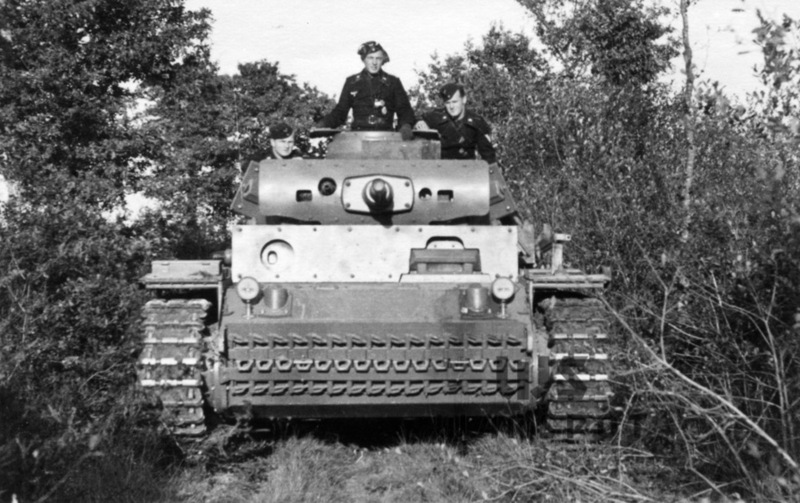 Nevertheless, 4924 tanks of this type were built by July of 1942. At the same time, from June of 1941 to July of 1942, German factories produced only 2479 PzIIIs. The comparison of PzIII Ausf.J production with another tank of its class is also interesting. The USSR built 1886 T-34 tanks in the second half of 1941. Recall that factory #183 was evacuated and that STZ and factory #112 built up their production numbers very slowly. Well, "slowly" is also relative: 206 PzIII tanks were built in November of 1941 and 171 in December. Meanwhile, STZ built 200 and 219 T-34s respectively. The working conditions at STZ were also much worse than at German factories. 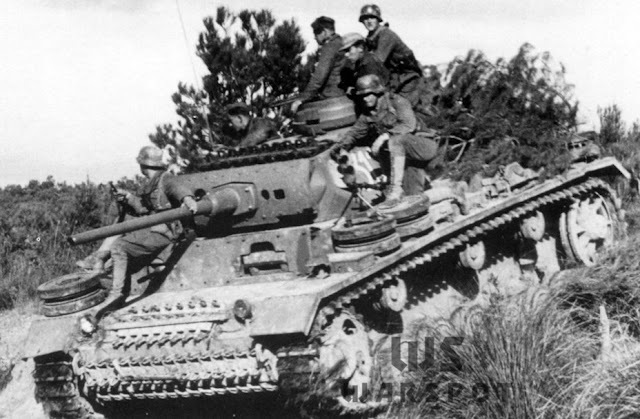 The peak of PzIII production was reached in the spring of 1942: 244 tanks in March and 246 tanks in April and in May. STZ built 290, 300, and 305 tanks in that time, and the factory was still chastised for not meeting quotas. The total production of T-34s in the spring months of 1942 was 715, 744, and 978. Forget medium tanks, even the KV-1 at ChKZ was doing better: 250, 260, and 325 tanks in March, April, and May respectively. This tank received additional armour of the turret platform. Operation Barbarossa was the combat debut for the PzIII Ausf.J. About 150-200 tanks of this type were issued to the Wehrmacht's frontline units by the time of the invasion. The debut was a successful one: the thicker armour became impervious to Soviet 45 mm tank and anti-tank guns. However, this performance was somewhat ruined by one unpleasant fact. In protecting their tanks from 37-45 mm guns, the Germans missed out on the fact that even the French had been using more powerful weapons. Not only 45 mm guns were used against the Germans in the summer of 1941, but 76 mm ones, from which 50 mm thick armour could not offer protection. The PzIII Ausf.J was one of the few victims of Soviet T-35 tanks. 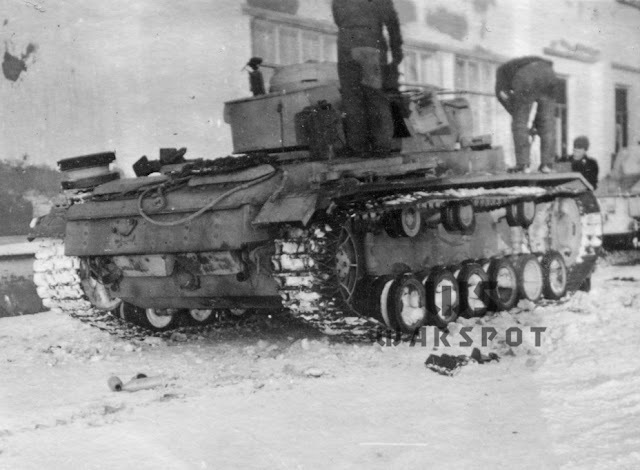 In Sasov (Western Ukraine) a PzIII Ausf.J took a hit from a 76 mm HE shell, which cracked its turret platform armour. The real issue came when the tanks ran into T-34 and KV-1 tanks. Their armour was thicker, and their guns were more powerful. The German tank had worse mobility than the T-34, but had better conditions for the commander. 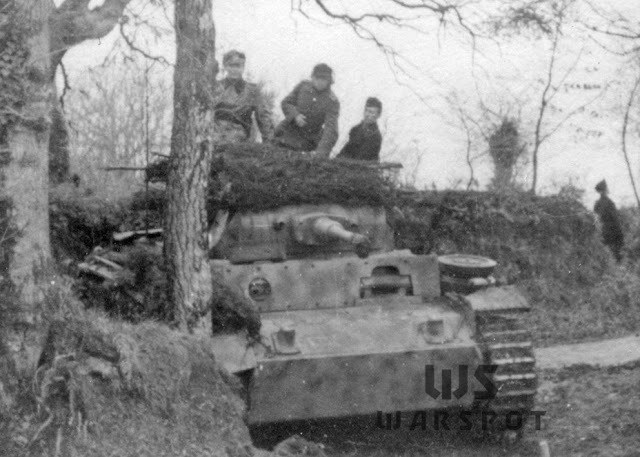 Pz.Bef.Wg.III Ausf.J. The tank in the photo has a full set of additional armour, including side armour. Let us mention the command tank, the Pz.Bef.Wg.III Ausf.J, separately. Experience in France showed that command tanks with immobile turrets and only a machinegun for defense were a mistake. There were plenty of times when these command tanks ended up practically defenseless. The 6th Department of the Armament Directorate made the decision to order 50 command tanks with rotating turrets. The contract was split between Henschel and Daimler-Benz Werk 40. The tanks were built as Ausf.Js at Henschel and then converted by Daimler-Benz. In total 81 tanks were built with serial numbers 73631–73763. The command tank can be distinguished by the pistol port instead of a bow machinegun. The Pz.Bef.Wg.III Ausf.J had minimal differences from the base PzIII Ausf.J. Instead of a ball bow machinegun mount it received a pistol port, and a whip antenna was added to the rear of the hull. A whip antenna was also added to the left side. Henschel built the tanks destined for conversion between February and April of 1942 as a part of the order for regular tanks. They received all the improvements that base tanks did, such as spaced armour and new engine deck covers. Later, the command tanks received the same modernizations as regular ones. The Germans started having doubts about the 42-caliber 50 mm tank gun even before the French campaign. One such proposal came in early June of 1940. At that point it was thought that the gun was sufficiently powerful, even though the encounter with the Char B1 bis should have provided some food for thought. Nearly everyone present at the meeting on February 18th, 1941, with Hitler, Porsche, Todt, and other high ranking members of German industry spoke out against lengthening the barrel of the 5 cm KwK 38 to 60 calibers. Installation of the 5 cm KwK 39 L/60 in the turret of the PzIII tank. The only man to defend the idea was Paul Panten, the director of Alkett. He offered to produce one experimental prototype of the gun. This time, Hitler did not listen to his advisors. 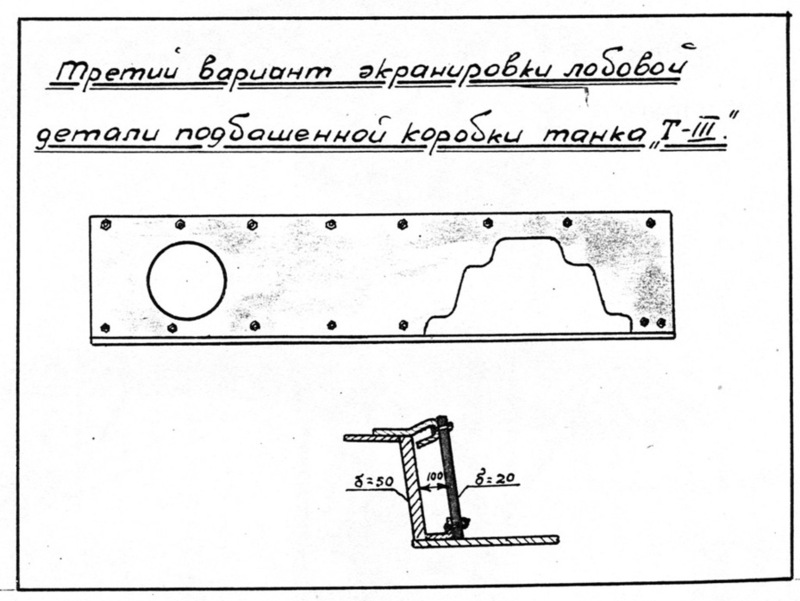 On February 19th he gave the order to immediately begin the development of this gun and its installation in the PzIII, as well as one PzIV tank. On Mach 19th, one month after the order was given, the experimental version for the PzIII was ready. There was not much difference between the 42-caliber and 60-caliber guns. In addition to a longer barrel, the new tank received a TZF 5e sight and slightly different balance and recoil mechanisms. The weapon was shown to Hitler on March 31st. It was thought that the start of production would take 4-5 months. The estimate was realistic: it was clear in the summer of 1941 that the PzIII needs a boost in firepower, and the first guns called 5 cm KwK 39 L/60 appeared by the end of 1941. A PzIII Ausf.J with serial number 72527, NIBT proving grounds, summer of 1944. Nearly no changes were made to the turret and chassis. Alkett initially wanted to store 120 rounds for the 5 cm KwK 39, but that was an optimistic estimate. The ammunition capacity was decreased: 84 rounds for the new gun could be carried, compared to 99 for the old one. In everything else, the last PzIII Ausf.J with 42-caliber guns and the first tanks with long-barreled cannons were identical. The tanks with new guns did not receive a new index. The first of these tanks were built in December of 1941. 40 long-barrelled tanks were built in December, among which was a PzIII Ausf.J with serial number 72527. This tank, built at MAN, can now be seen as an exhibit in Patriot Park. 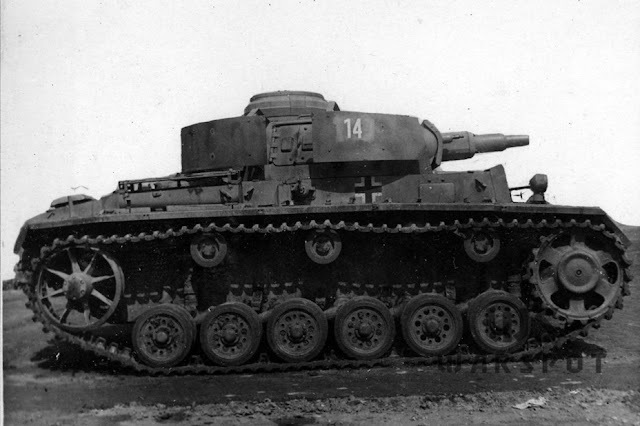 Even though the 5 cm KwK 39 L/60 was the primary weapon for the PzIII, production of tanks with the 5 cm KwK 38 L/42 continued until May. 280 of these tanks were built in 1942. The insignia of the 11th Tank Division can be seen on the front plate. The tank was built in December of 1941 and had sand-coloured camouflage. The second immediate issue was front armour of the tank. Strangely enough, the Germans were clued in not by the meeting with the T-34 and KV-1, but by experience in North Africa. In early July of 1941, Hitler demanded that a new type of armour be quickly developed: spaced armour. 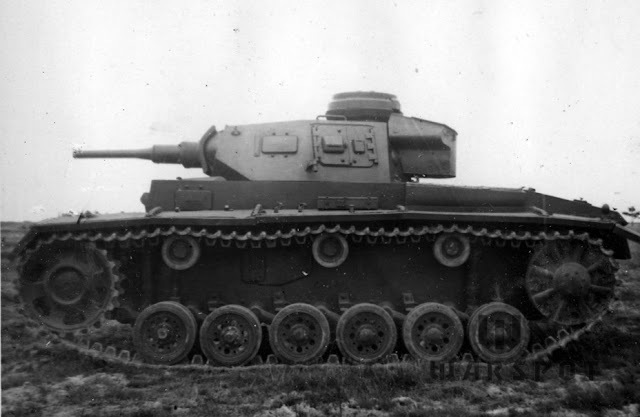 Unlike the armour installed on the PzIII Ausf.E-H, the armour would be installed some distance away from the main armour. The development dragged on, since the first variant was deemed unsuitable. 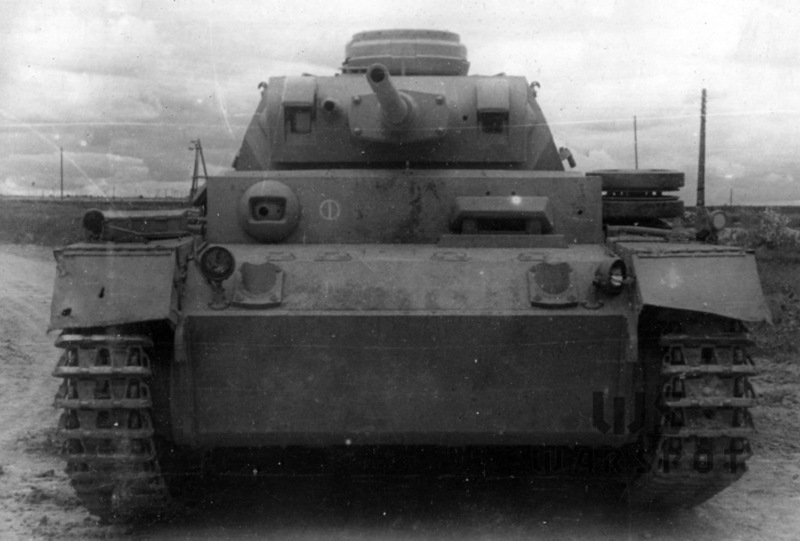 As a result, spaced armour was only installed on the PzIII Ausf.J after March of 1942. 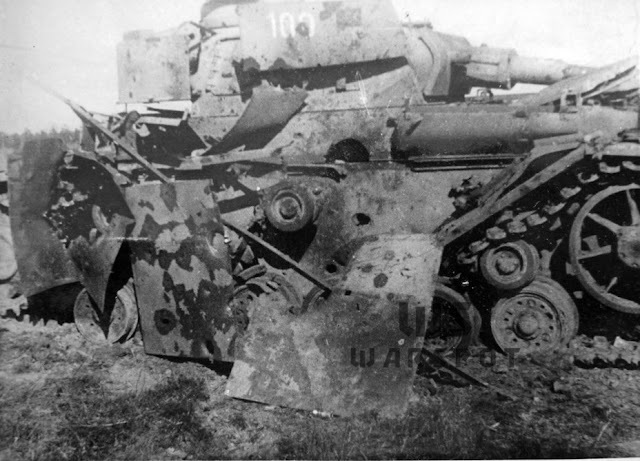 A 20 mm plate was attached by bolts 100 mm away from the main turret platform armour. To protect the bolts from the sides and top, extra sections were attached separately. An immobile 20 mm plate was attached to the gun mantlet, 140 mm away. The lower front plate was not reinforced. The same tank, seen from above. 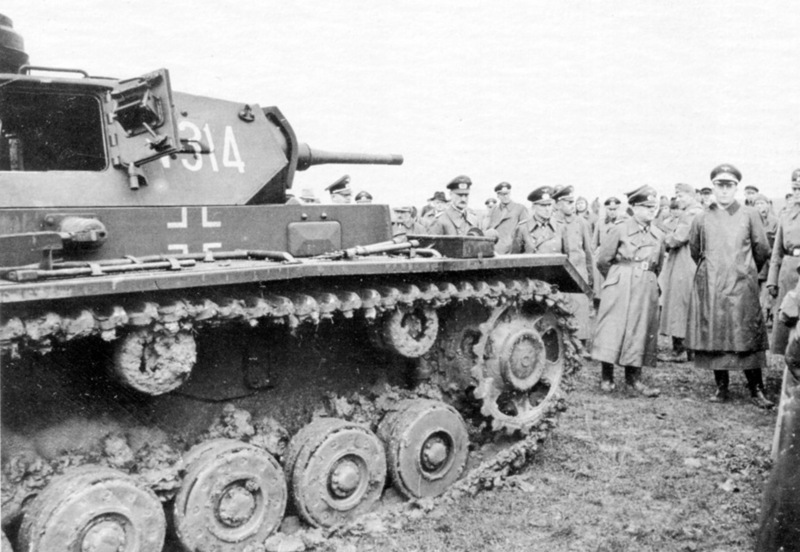 Inspections performed in 1943 by Soviet specialists showed that the armour was effective. The spaced armour was very light: the turret platform shield was only 150 kg, and the mantlet shield was about as much. German engineers managed to find an effective way to protect the front of the turret platform and turret from 57-76 mm guns. However, this protection was only effective after a few hits, after which the spaced armour and its bolts fell off. Nevertheless, the chances of survival in battle went up, which was the primary goal. Spaced armour diagram from the NII-48 report, 1943. Starting from March of 1942, all PzIII Ausf.J received spaced armour. In April, a decision was made to renamed this variant to PzIII Ausf.L. From a technical point of view, late PzIII Ausf.J and early Ausf.L tanks were identical. 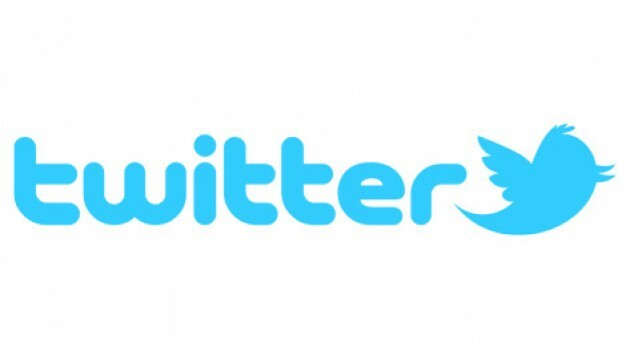 The name change was just a formality. It had to do with the cancellation of the PzIII Ausf.K, which will be mentioned later. Formally, the last PzIII Ausf.J was completed by Henschel in May of 1942. In total, 968 long-barreled Ausf.J tanks were built. In practice, these contracts often changed due to switching to a new variant. Winterketten tracks used since winter of 1942. Some changes were introduced into the PzIII Ausf.L design during production. Enlarged transmission access hatches were implemented even before the name change. The hatches on the engine deck changed in the spring of 1942: they were now one-piece. Observation ports disappeared from the sides of the turrets around this time. The next reduction in hatches was made in June of 1942. Experience showed that the evacuation hatches are unsuitable for their purpose, and thus they were removed. In June of 1942 five PzIII Ausf.L tanks received new smoke grenade launchers. Now they were installed on the sides of the turret. Trials were successful, and towards the fall of 1942 this device became the stock smokescreen equipment. One of the last changes was made in September-October of 1942. Instead of regular Bosch headlights and Notek night driving lights, two universal Bosch headlights were installed. The quick-release barrel shaped caps let them be used for night driving. By the fall of 1942 these were standard for German vehicles. The rear light was replaced as well. PzIII Ausf.L with all the changes introduced in the summer of 1942. The PzIII Ausf.L was the second most numerous PzIII variant. 1469 of these tanks were built. Recall that the Ausf.J with a long gun and the Ausf.L were nearly identical. The Ausf.L was not the last PzIII. Production of the PzIII Ausf.M began in September of 1942. Attention was paid to waterproofing this time around. The result was a higher quality Tauchpanzer. The biggest external changes were the new muffler and closeable air intakes on the engine deck. The gun mantlet and all hatches had waterproof seals. PzIII Ausf.M at the Wegmann factory, fall of 1942. The first PzIII Ausf.M were completed by Daimler-Benz Werk 40. This factory built only 10 such vehicles. Alkett did not take part in production of the PzIII Ausf.M. Mass production began in October of 1942 and continued until February of 1943. 517 tanks were built, after which production of the PzIII nearly dried up. In January of 1943 MAN delivered the first 4 Pz.Kpfw.Panther Ausf.D tanks. By February MNH and Daimler-Benz Werk 40 joined in to build Panthers, and then Henschel in March. Alkett and MIAG switch to the StuG 40 Ausf.G. The biggest difference of the PzIII Ausf.M from earlier versions is seen from behind. The tank was modernized after the last PzIII Ausf.M was completed. The Red Army began using PTRS and PTRD anti-tank rifles in large amounts starting with the fall of 1941. They could not penetrate German medium tanks from the front, but the rear and sides were vulnerable. Flanking fire from anti-tank rifles was such a huge issue that the Germans had to think about a way to defend themselves. The solution was the installation of skirt armour. As massive as they were, they were effective protection from anti-tank rifle fire. Installation began in May of 1943. The result of firing at side skirts. They protected from HEAT rounds and anti-tank rifles, but their effectiveness against 45 mm rounds or bigger was low. The effectiveness of the skirts was tested in August-September of 1943 at the NIBT proving grounds. It turned out that upon hitting the screen, the anti-tank rifle bullet only penetrated it, not the main armour. The screens were also effective protection from anti-tank grenades, including HEAT ones. The screens reduced penetration distance for regular AP rounds, but not by much. The 45 mm tank gun with a regular AP shell could penetrate the side from 600 meters. The lengthening of the 5 cm KwK 38 barrel solved the problem of an insufficiently powerful gun only partially. The firepower of the PzIII was now equal to that of the Pak 38, but the T-34 still had the advantage. It was capable of penetrating the German tank from a far greater distance. Coincidentally, the second half of 1941 was when work was underway to develop a long-barreled gun for the PzIV. This work began back in March. The engineers returned to developing a design that was first considered back in October of 1935. 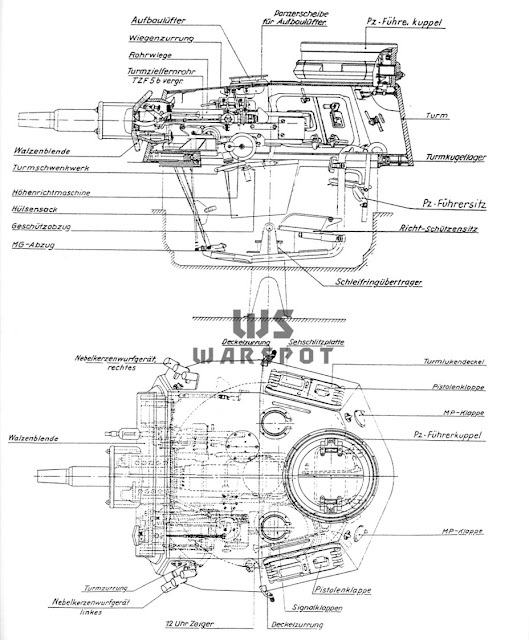 Initially, the plan was to make a 33 caliber weapon, but later, by November of 1941, another variant was considered, equivalent in power to the 75 mm Pak 40 anti-tank gun. As a result, a new tank weapon was born: the 7,5 cm KwK 40 L/43. The rifled part war the same length, but the overall length was shorter. The casing for the tank gun was also shorter. Nevertheless, the armour piercing shell muzzle velocity of both guns was the same at 790 m/s. The Pz.Kpfw.III Ausf.K was supposed to look like this. Overloading of the suspension forced this project to be cancelled. This new gun did not fit into the turret of the PzIII, so a decision was made to put a PzIV turret on the PzIII chassis. It is not known what Kniepkamp felt at this time, as he once tried to push through the cancellation of the B.W. project. Work on documentation began at Krupp on December 15th, 1941, and was completed on January 15th, 1942. The tank was indexed Pz.Kpfw.III Ausf.K. This was the variant that was supposed to replace the Ausf.J in production. The new gun and turret increased the mass of the tank by a couple of tons. The chassis of the PzIV could take this extra load. However, the weight reserve of the Z.W. was already exhausted. In order to re-arm the PzIII the suspension would have to be radically redone. Weighing the pros and cons, Hitler decided to continue producing the PzIII Ausf.J. On March 19th, 1942, Krupp received the order to stop work on the PzIII Ausf.K. This was a death sentence for the PzIII. However the chassis was still in demand for the StuG, which could fit a version of the 7.5 cm KwK 40 L/43. Z.W.41. A reinforced suspension was tested on this tank. The fact that the PzIII chassis has no weight reserve was known to the 6th Department of the Armament Directorate. Because of this, the Z.W.41 program was launched in November of 1941. It involved the reinforcement of the chassis and alteration of the road wheels. Like KV-1 road wheels, they had internal shock absorption. Work on converting a PzIII Ausf.J into a Z.W.41 was performed by FAMO. In addition to new road wheels, the tank received reinforced track links. It turned out that the road wheels work well, but the lifespan of the track links was only 1700 km. 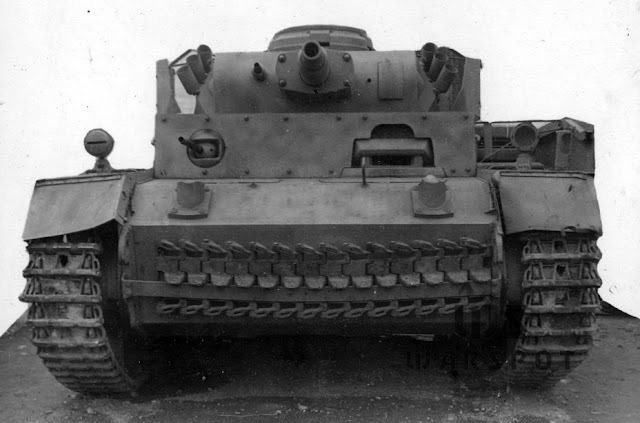 Work did not continue past that, but similar road wheels were used on the Tiger(P). Pz.Bef.Wg.III Ausf.K. The variant is easy to determine by the observation hatch in the front of the turret. Despite the cancellation of the PzIII Ausf.K, a vehicle with a similar index was built, and even mass produced. This was the Pz.Bef.Wg.III Ausf.K. The turret for this command tank was designed by Krupp in April of 1942. The turret of the B.W.40, one of the unlucky replacements of the PzIII, was used as the basis. The 50 mm KwK 39 L/60 was installed in a smaller gun mount than the ones used on the PzIV, which was shifted to the left. To the right an observation device was installed, similar to the one used by the driver. The hatch on the commander's cupola had a one-piece door. A special basket was attached to the cupola. 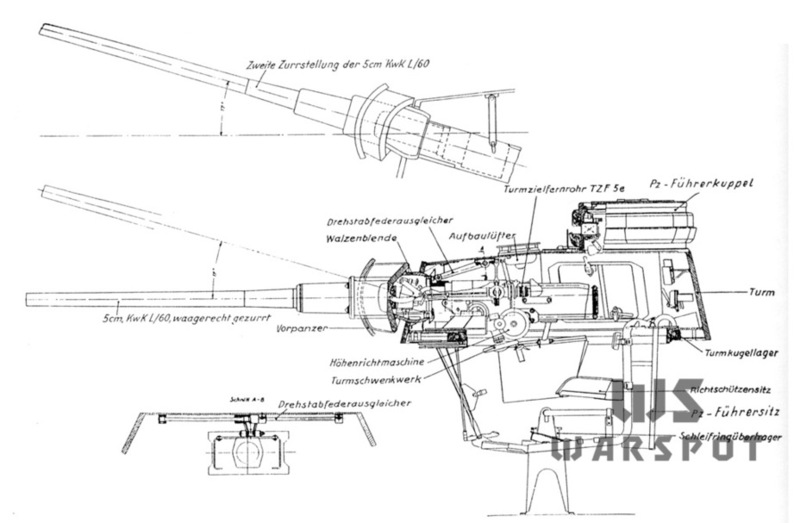 The gun installation in a PzIII Ausf.N turret. Converted PzIII Ausf.M chassis were used to build the Pz.Bef.Wg.III Ausf.K. A contract for 50 command tanks was signed with Daimler-Benz Werk 40. The tanks received serial numbers 70201–70250. Initially 10 units per month were planned, from September to December 1942. In reality, 36 tanks were delivered in December of 1942, 13 in January of 1943, and 1 in February. After that the assembly of command PzIII tanks ceased. 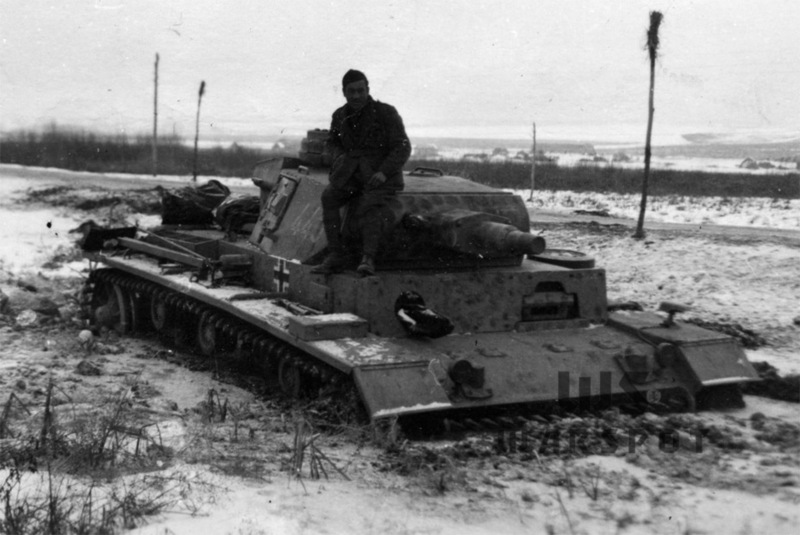 A PzIII Ausf.N stuck in mud, winter of 1942. The last version of the PzIII was the Ausf.N. 50 tanks ordered in February of 1942 were equipped with 7.5 cm KwK L/24 guns, the same ones used on the PzIV. Therefore, the last PzIIIs entirely departed from the role that the Z.W. was designed for and became support tanks. The PzIV in turn became the main tank, as it was capable of carrying a high velocity weapon. 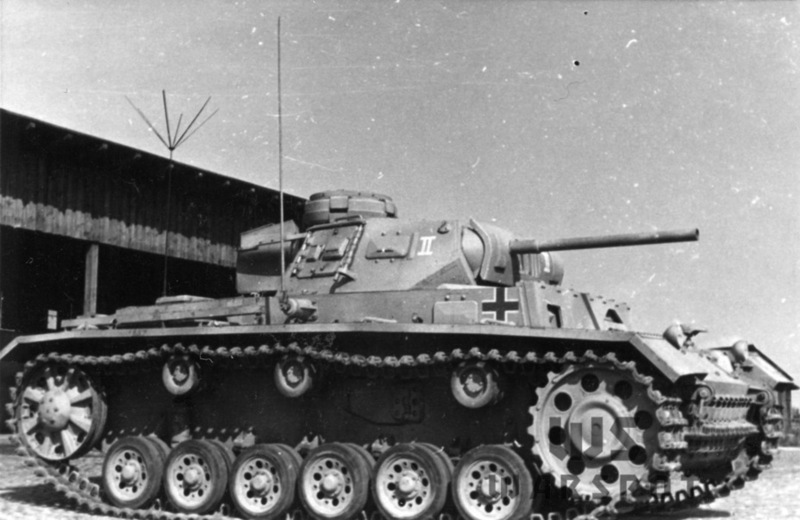 A PzIII Ausf.N captured at Kursk. Because of the order for the PzIII Ausf.N production plans changed again. In total, 4 factories took part: Henschel, MIAG, MNH and Daimler-Benz Werk 40. The last one built only 10 tanks. The first PzIII Ausf.N was delivered in July, and the last in October of 1942. Ausf.L tanks were used as the basis. Ammunition racks had to be reworked to accommodate new ammunition, and capacity decreased to 64 rounds. The mass of the tank grew to 23 tons. The tank originally had all of its skirt armour, but the ones on the right side fell off. The PzIII worked well as a support tank, and favourable reviews were sent in from the front lines. On November 7th, 1942, Hitler ordered the construction of another batch of PzIII Ausf.N tanks. This round of production fell on MNH and MIAG. This time, PzIII Ausf.M tanks were used for conversion. The first tanks were ready in February of 1943, and the last in August of that year. In total, 167 were made. These were the last PzIII tanks built from scratch. Ausf.N tanks remained in production, but only as conversions of earlier models. 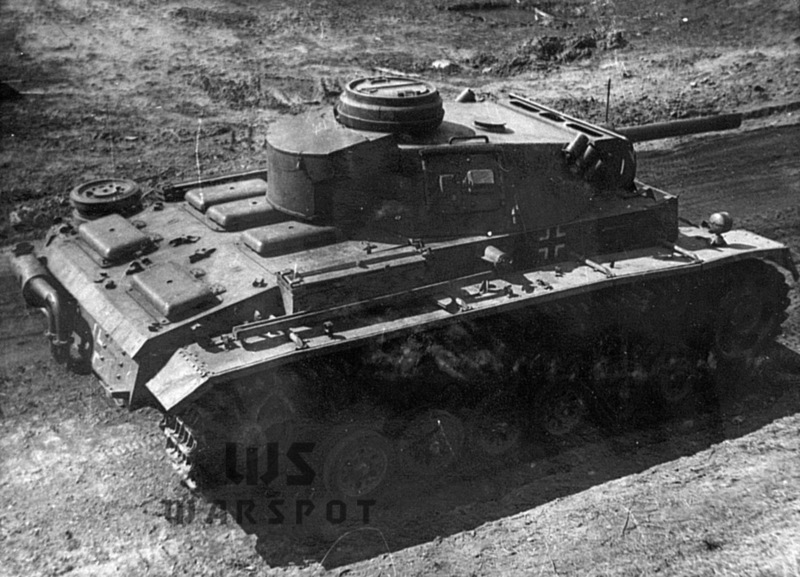 Earlier tanks built with 5 cm KwK 38 L/42 guns were converted into support tanks. However, the rate of this modernization was slow: only 69 tanks were converted between July of 1943 and March of 1944. An artillery observation vehicle built from a PzIII Ausf.G tank. Another converted PzIII variant appeared in early 1943. This was the Pz.Beob.Wg.III observation vehicle designed by Alkett. Instead of a 50 mm gun, a machinegun in a ball mount was installed. A fake gun was attached to the gun mantlet. A port for a whip antenna was installed in the engine deck. Tanks with 50 mm KwK 38 L/42 guns between Ausf.F and Ausf.J were converted into Pz.Beob.Wg.III tanks. Production of observer vehicles began in February of 1943. 262 tanks were built by April of 1944. Another tank from the Battle of Kursk: the PzIII (Fl). 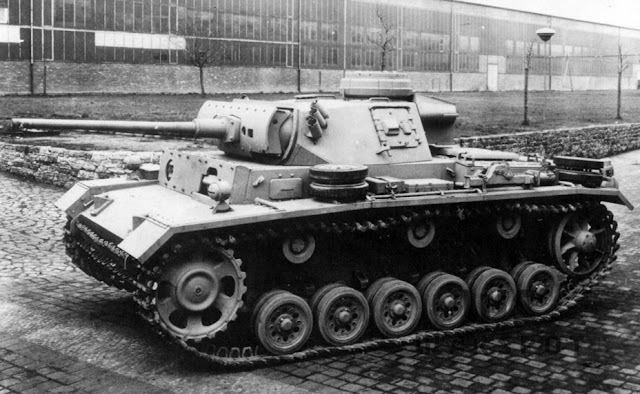 Another 100 PzIII Ausf.M tanks built by MIAG in January-February of 1943 went to the Wegmann factory, where from January to March they were converted into flamethrower PzIII (Fl) tanks. Externally they did not differ from regular tanks much. The flamethrower was concealed inside a pipe that looked like a barrel. The range of the flamethrower was 50-60 meters. The mass of the tank increased to 23.8 tons. The tank was destroyed in the 1960s when it was chosen as a target for the IT-1 rocket launcher tank. 1942 was the peak of the PzIII's fighting career. Even by the fall of that year it was clear that the PzIII had to make room for other vehicles. By the fall of that year the Panther program was nearing completion, and the niche that the PzIII could fill was already filled by the PzIV. 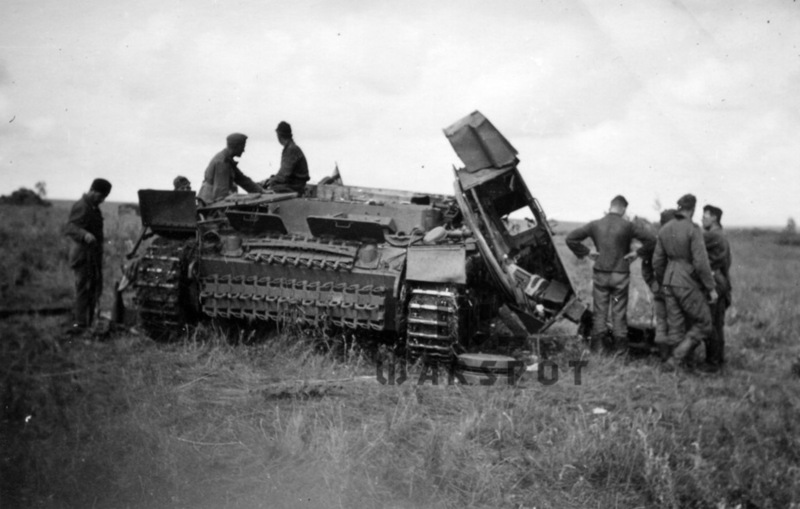 The Battle of Kursk was the last large battle where the PzIII formed the backbone of the Panzerwaffe. By the fall of 1943 this role went to the PzIV. "The ammunition capacity was decreased: 84 rounds for the new gun could be carried, compared to 84 for the old one." I suspect this is a typo! Thank you, the old number was supposed to be 99. Is it my imagination but do the later models ride a little lower? It The tracks tend to hang over the return rollers instead of running straight across. I bet they broke their front torsion bar a lot as well. 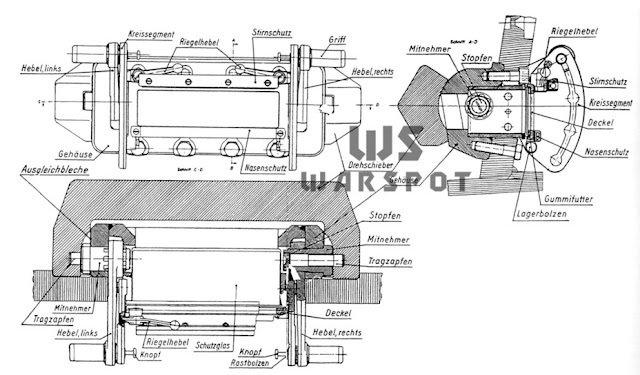 Do you know anything about the turret traverse mechanism on the Pz III? Was there ever a electric or hydraulical traverse mechanism fitted or could the turret only be turned by hand? The British say that the turret traverse mechanism was similar to the PzIV, so presumably it was powered.